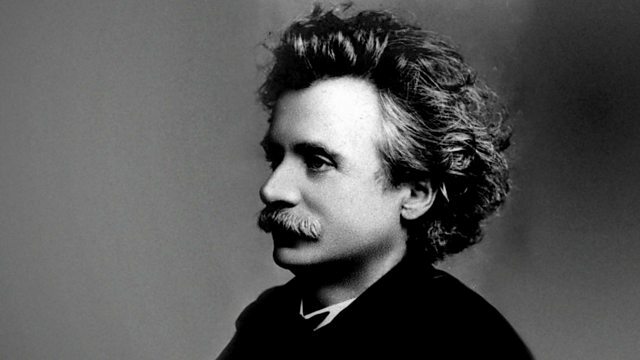 Donald Macleod introduces this multi-talented Norwegian composer, pianist and conductor with music from his early years. During his lifetime, this multi-talented Norwegian composer, pianist and conductor, was a hugely popular figure throughout 19th century Europe, and today is regarded as the foremost Scandinavian composer of his generation, who did more to establish a national identity for Norwegian music than anyone else. Donald Macleod introduces a concert overture with a chequered career, a group of piano pieces based on a collection of folk music transcriptions Grieg would re-visit throughout his career, a violin sonata praised by Liszt and an intriguing collaboration with one of Norway's most important writers, based on tales from the old Norse sagas. Performer: City of Birmingham Symphony Orchestra. Conductor: Sakari Oramo. Performer: Baiba Skride. Performer: Lauma Skride. Performer: Göteborgs Symfoniska Kör. Performer: Gothenburg S O.. Singer: Randi Stene. Conductor: Neeme Järvi. Singer: Barbara Bonney.